There has been a lot of debate as to the credibility of drinking eight 8-ounce glasses of water for a day. 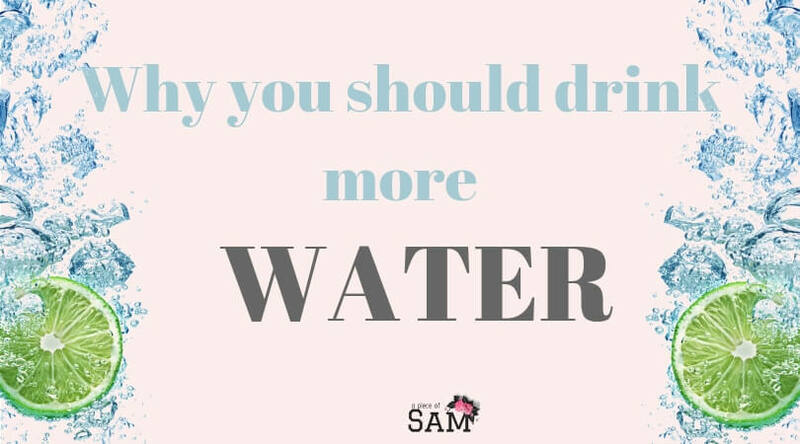 Whatever you choose you to believe, it is indisputable that water has so many health benefits and I want to share my experience on why you should drink more water to encourage you to stay hydrated. The week prior to a normal routine visit to my oncologist, I had spent all week traveling and I have a phobia for new bathrooms. The end result was I didn’t drink nearly as much as I would if I were home because I was keeping my bathroom use to the barest minimum. I had a routine hospital visit and expected it to be easy breezy but it turned out completely different from my anticipation. My blood work for that day turned out to be abnormal. My very observant and alert nurse caught the high rise in my creatinine levels. A creatinine blood test measures the kidney function. High creatinine blood level is indicative of kidney damage which could lead to renal failure if left unattended. A normal day was slowly turning into a nightmare to me. A supposedly short hospital visit turned and out being a long day. I was immediately being hydrated intravenously. At the end of the day, I was advised to drink as much water as I could before my next appointment. I was really bummed by my test results and I wished I could just magically change everything back to normal. Hospital visits are daunting enough, finding that your blood work isn’t quite right is unsettling, being told it is related to the kidney is unnerving! Anyways, I knew to trust what my nurse said because I got the best medical team in the world. With a resolve to drink more water, I had a reminder set for drinking water hourly, I drank a glass of water at the prompt of my reminder. I noticed my urine colored changed from cloudy to clear and remained clear till my next hospital visit. Miraculously, My creatine level had reduced and was absolutely within the normal range. I was in the clear but I ultimately learned the importance that drinking water has on my beloved kidneys. To say I was overjoyed is an understatement. Water is undeniably the best source of hydration. It is affordable and unlike soda, water is calorie free. For those of you who are like me, who find drinking water somewhat hard to do, you can infuse your water with any fruit of your choice and enjoy a refreshing and nutritious drink. To infuse your water cut up any fruit/fruits of your choice and add to your glass of water and drink up! You get to eat the fruit when you are done drinking…double delight! Fruits and vegetables are nutritious and hydrating. Whenever I eat a slice of watermelon, I feel like my body whispers to me…”Thank you”. Broth-based soup was one of the recommendations I got from my nurse. I was excited because I love the Naija style savory pepper soup which is mostly broth and some protein. I had even more reason to love it more! Being hydrated helps with constipation and supports normal bowel function. With all this said, I hope you I have been able to inspire you enough to intentionally drink more water because I love you all and I want you to be healthy. No matter the method you wish to employ, my message to you today is drink up! Do you have a water routine plan already? Do you have difficulty drinking water? What is your best hydration fluid of choice? Maybe we could learn some more from you! I’m so bad at drinking enough water. Thanks for the reminder on how important it is to keep hydrated! you are welcome! please make a conscious effort to drink more. It’s crazy, but ever since my son was born I just haven’t been drinking as much water. I get so busy during the day that I look up and it’s 2pm, and I haven’t had a single glass. i know right? maybe you should try setting up a reminder like i did. I needed to read this today, especially after coming in from shoveling some snow. I’m so glad things improved for you! Now I’m off to refill my water glass. Im glad I could inspire you to drink up!